Industrial Oil and Gas maintenance and servicing collaborator. Minimizing your costs and maximizing your outputs by providing cost efficient solutions that fits your core requirements. Our greatest asset is our dedicated people. They have valuable industry knowhow and solid project experience from working on project with huge tycoons of the Oil and Gas sectors. INTECH admits that its success reckons on the steadily deliveries of the extravagant quality services which satisfy our clients and rise above our customer expectations. 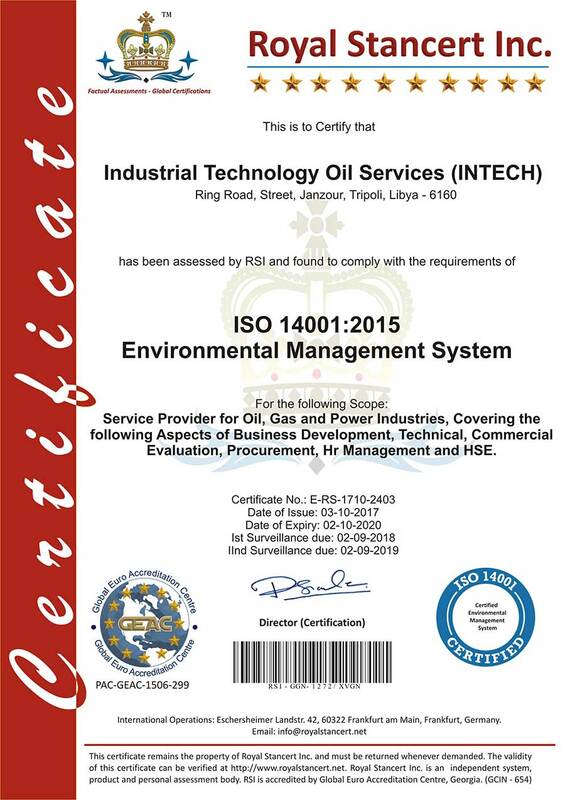 INTECH is a provider of Oil and Gas industrial equipment to the Libyan market since 2011. We have earned a reputation for supplying only premium products and service. 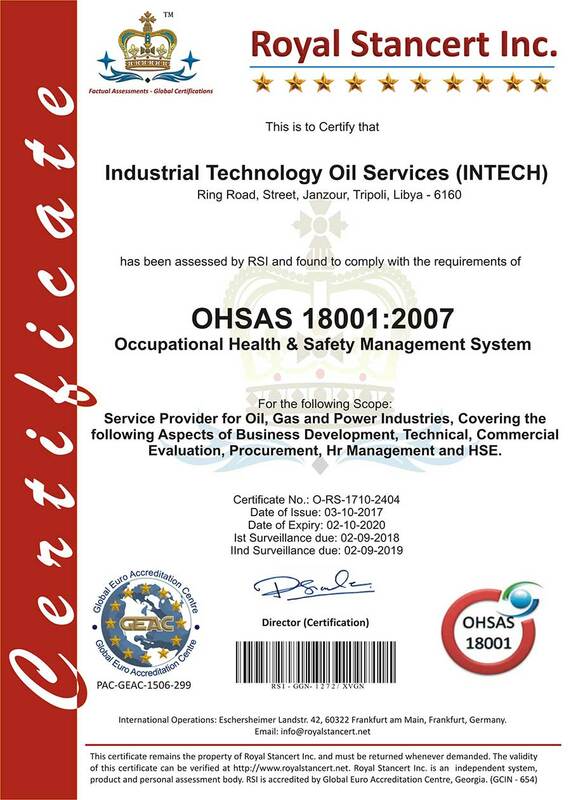 An aristocratic quality assurance in compliance with national and international decree and standards. 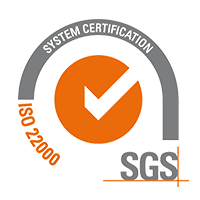 INTECH’s commitment to quality is definitive. we have been improving customer satisfaction by understanding their changing needs and ensuring sound decision making based on proactive risk management. This approach is based on sharing best practices and standardization at all our locations. Our goal is to always deliver high quality services on time and with minimal costs. REINFORCE EXPERIENCE. COMMITMENT TO PERFECTION. Give us a challenge and we will find the right solution.